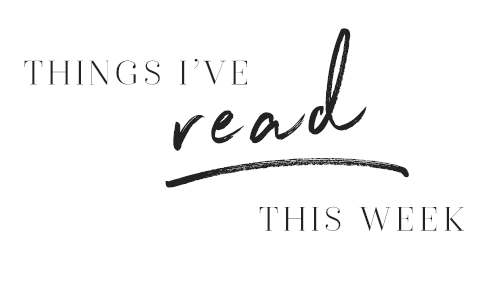 I’ve been thinking about digesting some of the things that I come across every week into a little newsletter, covering things I’ve been reading, and interesting fact, my favourite posts on Instagram (there’s a theme this week, no prizes for guessing what that might be) and a few things I’ve spotted that I really, really want to buy. 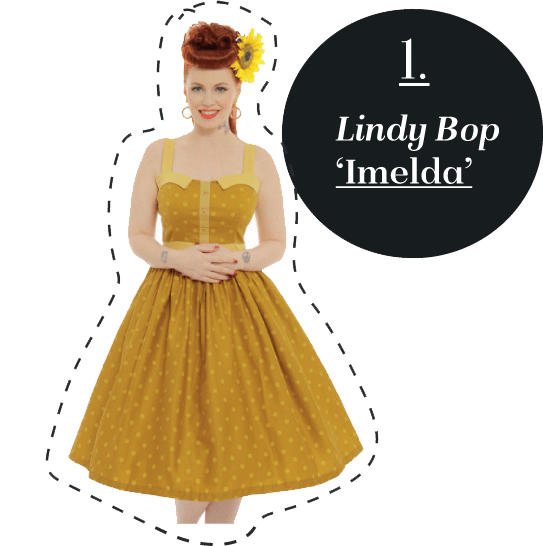 Top of the list is Lindy Bop’s new ‘Imelda’ dress, because it’s just so…mustard. Heart-eyes. I’d love to know what you think of my little newsletter, and I hope you enjoy reading it! This week has been quite a relaxed affair really, for me personally. I’ve finally got round to buying some mounts and frames for some pictures I’ve had lying around since…um, 2012. In a bid to make my spare room a nice place to work, I’ve been on a mission to do it up. I’ve bought marble-look contact paper, and covered a £5 2-metre Ikea table I picked up on eBay with it. I had a bit of a war with Amazon getting this damned contact paper; it’s a brilliant way to easily and non-destructively do something up (books, tables, bathrooms, anything that you can put a thin vinyl layer over) so I ordered a 2m-long roll from Amazon. Then waited. And waited. And waited. About two months later, the seller cancelled the order and sent a replacement. That never arrived. They finally refunded me, but that didn’t help much. I ended up buying a slightly more expensive roll of the SAME contact paper from another seller, which arrived in about three days. It would have been more of a celebration, had I not then spotted it at half the price in Wilkos about four days later. OH WELL. Getting the eBay bargain table here itself here was another story. My £5 bid won, and it was ‘collection only’ from an artist’s studio near Brick Lane, which is a couple of miles (or a 15-minute bus ride) from my place in Bow. What I wasn’t counting on was the bus driver refusing to let me on the bus, because I was carrying a 2-metre long table. I think he thought it posed a security risk. I’d love to know what he thought was going to happen. Let’s just say that by the time I got home, I was pretty tired. I can’t say that I’m an Eastenders fan, but I can’t think of the last time I heard of a melodrama consisting of detergent and singing, can you? So why do they call it a ‘soap opera’? So, there we have it. An entire genre borne out of the predictable nature of advertising, and sexism. What a rich, enlightened society we live in. It’s currently a *bargain* at £32, and available on the Lindy Bop site in sizes 8-26. I’m on a bit of a hair flower buying spree as they’re such an easy way to upgrade your outfit, if you’re like me and just don’t have the time to set your hair everyday, but still want to look like the vintage goddess you feel on the inside. 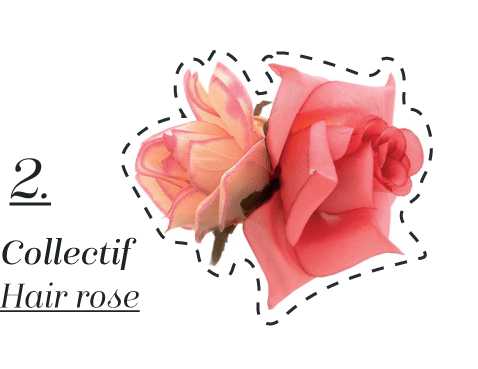 Collectif have released SO MANY beautiful hair flowers this season, but it’s actually this delicate pink double rose one that caught my fancy. The warm pink is so summery, and matches a few pieces I already have in my wardrobe. It’s a snip at £6.50, though Collectif totally get you with the postage; £5.50 per order. So at the moment I’m waiting until I have the money and a large enough shopping list to buy this little beauty. It’s available in this summery pink, but also white and purple. Tatty Devine keep hitting me with new gorgeous items that I just HAVE to buy! 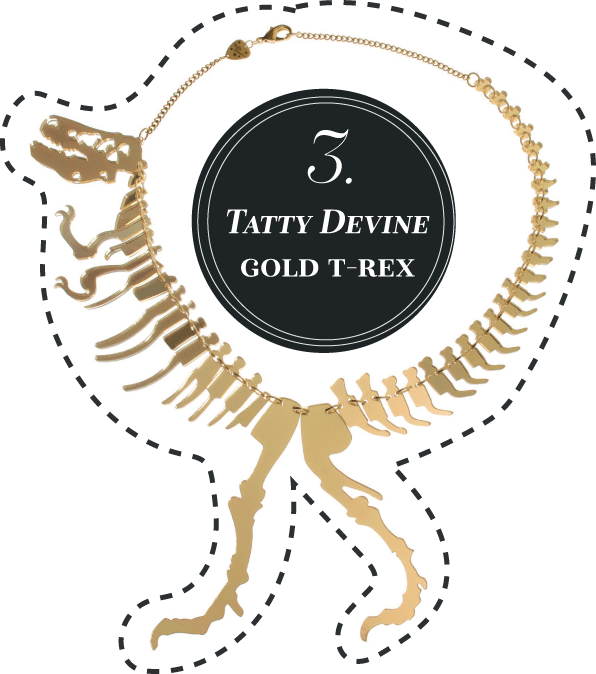 This cute gold dino might cost a small mortgage, but he’s SO GORGEOUS. £110 to have this flashy little fella travel round with you. Bonus fact: the t-rex wasn’t actually a Jurassic dino, and was around much later, roaming the planet during the Cretaceous period. Hell Bunny have blown me away with their dresses this past season. I’ve seen this tropical piece pop up everywhere, including the blog of the lovely Miss Amy May (her review of this fantastic dress is here) and Miss Victory Violet on Instagram. Every time I see it, I play the game of putting it into my basket and out again. I love the mint base colour, and the slightly muted purples and greens. And those wooden buttons! Agh. Someone please gift it to me so I can wear it forever! It’s available here, in sizes UK 10-24. Previous Post In the dark, ALWAYS watch your shadow.